The kitchen used to be strictly a place to prepare meals, and other than being functional not much more was required of it. Well, those days are long gone, and the kitchen has evolved to represent the center point in the contemporary American home. Whether you wish to remodel and revive your entire kitchen or add functionality and style to the current look of your kitchen, custom kitchen cabinets are the single biggest visual change you could make to the heart of your home. New custom cabinets can greatly transform and maximize your kitchen space, while adding the style and enhancing the overall appeal. In too many homes available kitchen spaces are far from maximized; it takes expertise, time and effort to design and build the perfect kitchen. 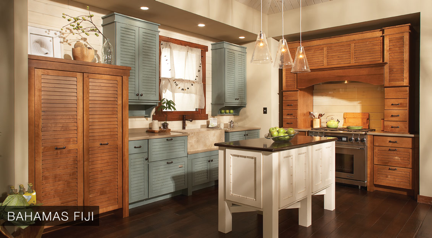 Storage and organization play a crucial role in achieving a functional and eye-appealing kitchen. This is where Bowers & Lobeck Inc. comes in – as our team of designers, fabricators and installers join forces to make sure that every square inch of your home is being properly utilized and that the new design and look represent your lifestyle and taste. Installing new cabinets creates a very different feel to your home, adds value, and will certainly make your time in the kitchen so much more enjoyable. 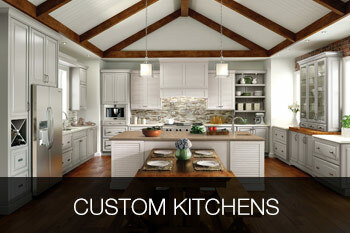 Also, did you know that kitchens are one of the best places in your home to invest money into? At Bowers & Lobeck Inc., we are very proud of our kitchen designs selections, and since pictures often speak louder than words, here are just some examples of the types of custom cabinets we can design and build to spark your imagination. 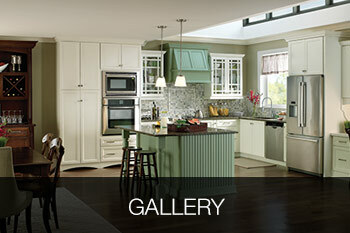 Visit our Gallery/Inspiration page for many more design ideas. Custom kitchen cabinets are the focal point of your kitchen, and since the kitchen is the central hub for family interaction and activity, it’s only natural you would want to design the ultimate kitchen of your dreams and transform it into the greatest room in the house. 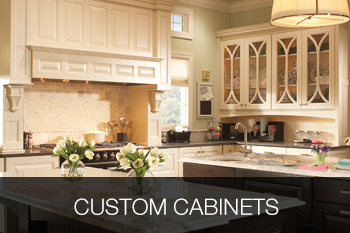 With a great variety of materials, colors, and styles available for you to choose from when selecting the custom cabinets in Lancaster, PA, you are bound to find that perfect solution for your old, outdated or rickety cabinets. 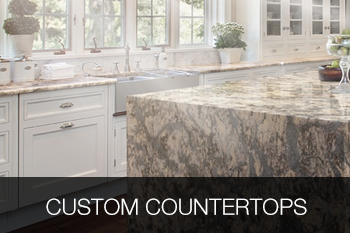 From traditional styles to modern and trendy, all custom cabinets in Lancaster, PA from Bowers & Lobeck Inc. will be functional and visually appealing. They come in multiple finishes and shades, combining technology with quality materials and beautiful designs. Give an old kitchen an impressive makeover by refinishing your current cabinets; add more storage space to your small kitchen or make your kitchen more luxurious with our brand new custom cabinets. Your new kitchen will become one of a kind with your personal touches added, as our specialty designers and qualified installation teams create every accent of your new kitchen with semi-custom cabinetry, stock cabinetry and countertops. 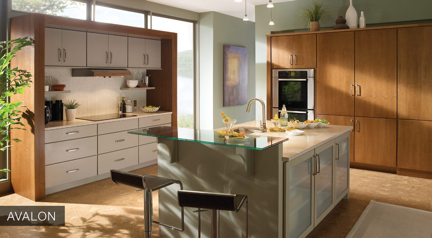 At Bowers & Lobeck Inc. our greatest satisfaction comes from helping you create the custom kitchen that fits your needs and lifestyles, and we work with clients on smaller as well as larger budgets. We have helped many clients get their dream kitchens by creating a beautiful space in their first, second, and final homes over the last 22 years. Whether you know exactly what you’re looking for or only have a rough idea of what you want and need to see, start with giving us a call so we can help you create your new dream kitchen. Start browsing all the different designs for your custom kitchen cabinets Lancaster, PA today – our design staff is ready to work with you to cultivate your ideas and bring them to life. Bowers and Lobeck provided a very nice kitchen and vanities in the home. The work was started on time and in a timely manor we were very pleased.